Prayer is not just meant for adults, it is meant for kids too. When children become active participants in Jewish tradition, they learn to value and appreciate the faith. They learn the most when they are involved. 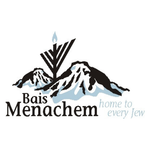 At Bais Menachem, we give the children an opportunity to have their very own Shabbos services and Torah Reading which enriches the Shabbos experience of many young children.